As you enter the new and exciting world of crypto, one of the first things you will ask yourself will be about the differences between Ethereum vs Bitcoin. It’s quite baffling, right? You may think of Bitcoin and Ethereum, as a lot of us do, as the Apple and Microsoft of crypto. However, unlike Apple and Microsoft, they are completely different from one another. Both have very different objectives in mind. In fact, other cryptocurrencies compare a lot closer to Bitcoin and Ethereum than Bitcoin and Ethereum compare to each other. For example, Litecoin is a lot more like Bitcoin than Ethereum is, and NEO is a lot more like Ethereum than Bitcoin is. I’ll get to that in another article, though. For now, let’s focus on Ethereum vs Bitcoin. 4.1 Is Ethereum better than Bitcoin? 4.2 Which has the better technology? 4.3 Can Bitcoin and Ethereum live side by side? Researching cryptocurrencies and the technologies behind them can be very confusing, which is why I built this guide. We’re all beginners at some point. 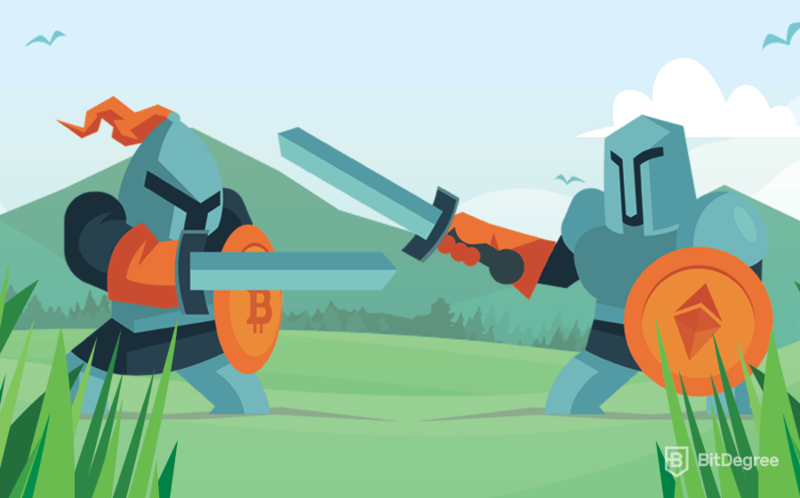 Rest assured, by the end of this guide, you’ll have a strong understanding of what Bitcoin and Ethereum are, what they do, and how they differ from one another and who wins the Ethereum vs Bitcoin battle. You’ll also be able to make an educated decision as to whether you prefer Bitcoin or Ethereum. I’ll do this by comparing them, highlighting their differences and looking at the uses and advantages of each. Let’s start, shall we? When you look at Ethereum vs Bitcoin, you can see that their goals are largely different. When you look at their market statistics, though, the difference is rather small — Bitcoin’s market capitalization is $147.3b while Ethereum’s market capitalization is 84.2b. Note: market capitalization (often referred to as “market cap” is the total value of all coins in existence. For example, Bitcoin’s $147.3b market cap means the value of all Bitcoins together is $147.3b). So, besides statistics, how exactly do Bitcoin and Ethereum match up? Many beginners in cryptocurrency believe that Ethereum is only as a financial currency, like Bitcoin. This is wrong for many reasons; let’s look at the basics. Here I will look at some of the features and facts of Bitcoin and Ethereum. Let’s look at the main differences between Ethereum vs Bitcoin, some of which you can see by comparing the basics I just mentioned! When you think of Bitcoin, think “digital money”. When you think Ethereum, think “smart contracts”. This is the easiest way to understand and remember the primary difference between Bitcoin and Ethereum! Bitcoin is a store of value and a way to send money to someone. Ethereum is also a way to send money to someone but only when certain things happen. Ethereum also differs by serving as a building platform for dApps/smart contracts, which allow it to send tokens that represent values. These values can be things other than digital currencies, making it different to Bitcoin. Jade sends 10 BTC (Bitcoins) to Pete. Send 10 ETH (Ether) from Jade to Pete if Jade’s balance is 15 ETH and the date is 12.01.2019. So, Bitcoin’s transactions are manual and Ethereum’s transactions are automatic/programmable! Ethereum’s block time (transaction speed) is just seconds. Bitcoin’s block time, however, is minutes. Ether is designed to fuel the Ethereum network and power transactions — think of it as gas. Bitcoin is used to be the value of real-world transactions — think of it as money. Bitcoin is limited to 21,000,000 coins. This creates supply and demand, which is healthy for a store of value. Ethereum, however, is not limited. The production of Ether is continuous. The supply of Ether will slow down a lot over time though. Vitalik Buterin, the founder of Ethereum, stated that the total number of coins will not reach more than 100,000,000 ETH in the “foreseeable future”. Ethereum is 6 years newer than Bitcoin and is further advanced. It’s difficult to make sense of the differences between Bitcoin and Ethereum if you aren’t familiar with all the fancy, technical words that crypto geeks use. Let’s break down some of the jargon, shall we? Ethereum vs Bitcoin, well both are of course decentralized. If something is decentralized, it is not in one central position. Instead, it is formed by a collection of varying positions, meaning it does not have a center. That’s where the word “decentralized” comes from! To apply this to a network, think about Facebook’s servers for a moment. They run via Facebook and Facebook only. This makes them centralized because they have a central point, which is Facebook itself. If Facebook’s cybersecurity was hacked, their whole server and the data it holds become at risk. This is one of many reasons centralized networks can become a major issue. As you could imagine, right? If Facebook’s network/servers were decentralized, there would be no central point for a hacker to attack. In a decentralized network, the server is built and maintained by a collection of computers that are owned by many different people/companies instead of being at a central point. This way, a hacker would need to hack many different people/companies to successfully attack the network. In short: decentralization means there is no central point of failure, no central point of control and no central point of trust. This is why many agree that decentralized networks are the future! Even if you’re brand new to crypto, I’m going to take a guess you’ve already heard about blockchain technology. It’s a bit of a trending topic. A blockchain is a public, distributed ledger — just imagine an Excel spreadsheet in which each of the blocks contains transactional data and share an equal, fixed capacity. In a blockchain, the ledger is “distributed”. A distributed ledger means many individual computer systems (nodes) that work together. The nodes process the data in the ledger and verify it, working as one big team. This way, it is impossible for a fake transaction to be verified, as it would need the consensus (the group agreement) of the blockchain. So, the more nodes/computers, the more secure the blockchain is! Distributed ledger stores the verified blocks. It is shareable and downloadable by all other nodes on the network. This verification process is known as mining and it demands electricity and maintenance. Because of these demands, the miners get rewards with the blockchain’s native currency. This is the foundation of a typical cryptocurrency ecosystem. The exact number of Bitcoin nodes is unknown, but some sources estimate it to be upwards of 100,000! Imagine trying to hack half of that! For more on blockchain technology, check out our Blockchain Explained guide. Smart contracts are a decentralized tool. In the Ethereum vs Bitcoin battle, Ethereum was the one who introduced smart contracts to the world. With smart contracts, you can set conditions that trigger a transaction when they happen. As the smart contracts on Ethereum are powered by the blockchain, developers can create applications that never go offline and cannot be edited by third parties. Imagine if we had this power with the regular contracts we currently use as part of our everyday lives! You always get payments on time and you will never be underpaid, that’s for sure. These are just two of countless examples, though. A good way to think of smart contracts is to imagine purchasing a house. Usually, this process requires third parties, such as a lawyer and a broker. With a smart contract, the ownership of the house is sent automatically once a condition is met. It looks something like this: John transfers 200 ETH. The payment gets verified and he gets the ownership of the house. This is applicable to many different scenarios. Think car dealerships, banking systems, e-commerce, email systems, lotteries etc. Bitcoin and Ethereum have very different purposes! Ethereum’s purpose is to offer and run decentralized smart-contract applications powered by blockchain technology that do not go offline and cannot be altered. It provides users with a platform and programming language to build the applications on. Bitcoin’s purpose, however, is largely different. It serves as a decentralized store of value — a peer-to-peer digital currency, used for financial transactions. It eliminates the need for third parties in payment technology. In conclusion, the primary differences that separate Ethereum vs Bitcoin are their purposes and their concepts. Also, Ethereum’s blockchain runs smart contracts Bitcoin doesn’t and instead only focuses on manual payment technology. It’s clear that there are benefits to using both Bitcoin and Ethereum. Bitcoin has a lower coin supply and is more liquid than Ethereum, but Ethereum has better technology and provides more uses than Bitcoin does. Based on the fact Ethereum has more use cases than Bitcoin — and therefore serves a bigger purpose — I can say that it is indeed an overall better Bitcoin alternative. It perhaps isn’t the best Bitcoin alternative, though, as there are other cryptocurrencies that have the same purpose as Bitcoin and run on newer technology and protocols. That’s not to say that these other alternatives are better than Ethereum. 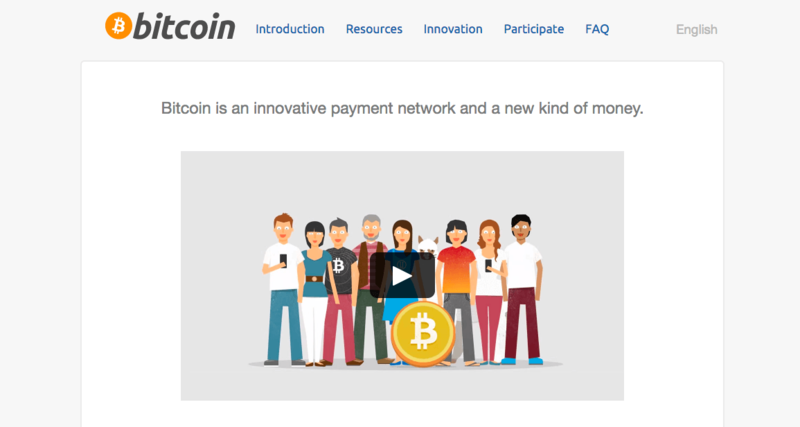 It just means that because they are more similar to Bitcoin, one of them may be the best Bitcoin alternative. It doesn’t necessarily mean they’re a better Ethereum alternative! Which has the better technology? Ethereum uses smart contracts. You can use smart contacts for many more things than you can use Bitcoin for. The Ethereum’s blockchain was released in 2015. It is 6 years newer and further developed compared to the Bitcoin blockchain (released in 2009). Ethereum’s blockchain is a further advanced version of Bitcoin’s blockchain. It fixes some of its issues and introduces new features such as smart contracts. Ethereum’s transaction fees are cheaper than Bitcoin’s transaction fees. Not only do the transactions cost less, but as I stated earlier, they’re much quicker too. Can Bitcoin and Ethereum live side by side? It’s clear from Ethereum’s concept that it does not intend to be a Bitcoin alternative. Instead, it runs alongside it as it pursues a different objective. Tradable just as all other cryptocurrencies are. Mining Ethereum vs Bitcoin has become a much closer competition. Ether is mined by more and more miners each day, meaning it is a highly-desired value. Businesses are using it to pay their staff. Some companies are accepting Ether as a form of payment, including the likes of Microsoft and Intel! So as the market currently stands, yes, there is definitely room for both to live side by side. Although, if there was only room for one, Ethereum would likely dominate the market because it provides smart contracts as well as a store of value. So, which one? Bitcoin or Ethereum? In Ethereum vs Bitcoin battle, if I had to choose one, it’d be Ethereum! This is because it has unlimited use cases, whereas Bitcoin only tackles payment and banking issues. Bitcoin may have a better position in the market, but Ethereum has better technology and a bigger potential. Bitcoin’s founder remains anonymous to this day. Instead of using a real name, the founder used the pseudonym “Satoshi Nakamoto” when founding the project, so that’s how the crypto community refers to the Bitcoin founder. It’s also how the term “Satoshi” (a denomination of Bitcoin) came to be. Ethereum’s founder, however, is the 24-year-old “crypto-prodigy”, Vitalik Buterin, whom you can read more about here. Inspiring explanation!Keep it up. From the past few years, many people start their business with blockchain technology. This article clearly describes the difference between ethereum and bitcoin.